I remember sitting in those pews, starting up at that altar and thinking for hours at times. Things don’t always go as planned. 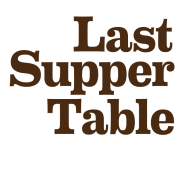 A series of three short films record the making and the marking of the Last Supper Table. You’ve seen the first and the next two will follow, ending with a complete table and that table’s departure to Grand Rapids. The first film is general -the second and third are more personal. My interview is last. 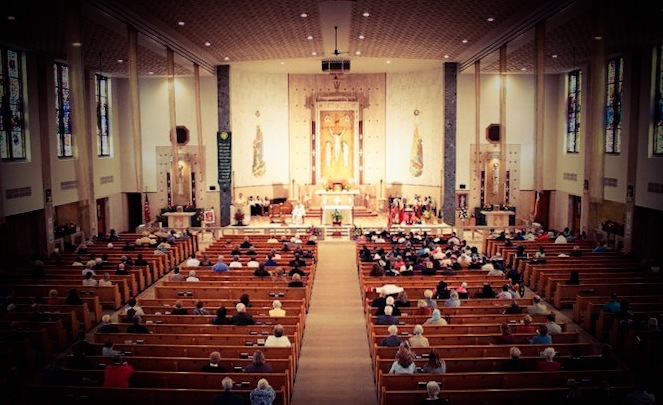 The intention was that I would return to the Catholic church that I knew as a child – the one where I was educated from kindergarten through eighth grade; the one that was blocks away from my family home in Detroit’s west side; the one where I attended mass every Friday (add in Wednesdays during Lent); the one that introduced me to the vibrant stories of the bible; the one that taught me that it was just fine to question your faith in things so that you knew you were doing the right thing. Whether or not I realized it while I was there, that environment shaped the kind of student, spiritual being, and story-teller that I was to become. Fast forward. I reached out to the church to ask we can film there and my request was denied. This was days ago but I just can’t shake it. The fact is that, beyond my disappointment, I feel kind of lost. Even though it’s been over twenty-three years since I’ve entered that church, somehow I feel like a piece of my childhood is inaccessible. Now, I need to revise my backdrop and find a different perspective for my story but I’m stuck and struggling to figure it out. This entry was posted in All Posts by Abir. Bookmark the permalink.